Auditions for American Ninja Warrior Jr. The hit extreme obstacle course show American Ninja Warrior is now casting kids. 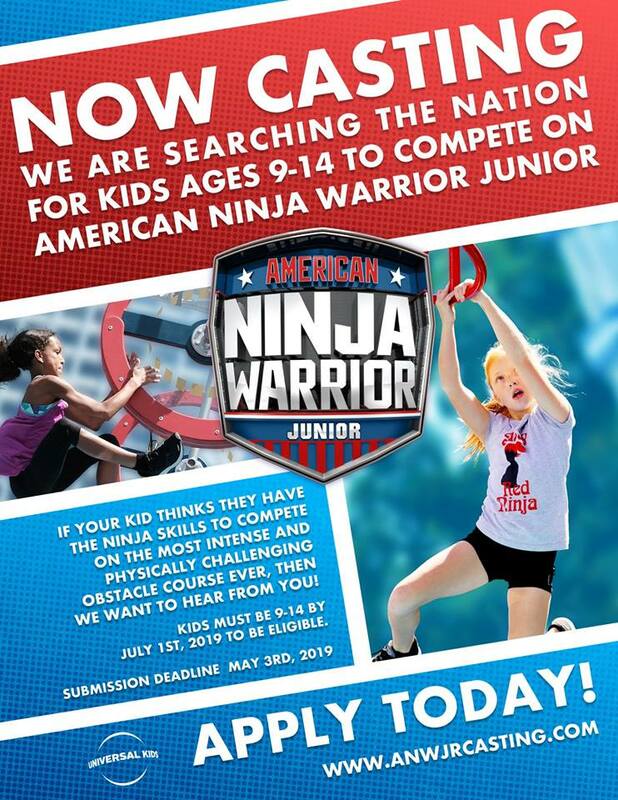 American Ninja Warrior Junior is now casting kids ages 9 to 14 nationwide who think they can handle the obstacle course and compete on the show. Is your kid crazy athletic? Are they up to a tough physical challenge? If so, read on. If your child thinks that they have the ninja skills to compete on the most physically challenging obstacle course ever, then the show’s producers and their casting directors may want to hear all about it. Producers for the show are doing online auditions and have setup a page where parents can submit their kids. Auditions are open through the beginning of May, 2019. Looks like the show will be filming this summer and the show’s page does state that the show is for current US residents and must be between the ages of 9 and 14 as of July 1st, 2019, in order to be considered. In the original American Ninja Warrior, men and women from all walks of life and every corner of the country come together to pursue their common dream of reaching Mount Midoriyama on the world’s most notorious obstacle course. Each possessing an inspiring story and a memorable personality, these unrivaled athletes push through seemingly impossible tests of strength and endurance. Though few have ever finished the course, the challengers stop at nothing as they take on a growing number of competitors and an ever-changing set of obstacles. Please note that parents must apply for their kids. Parents can submit their online auditions through May 3rd, which is the deadline. 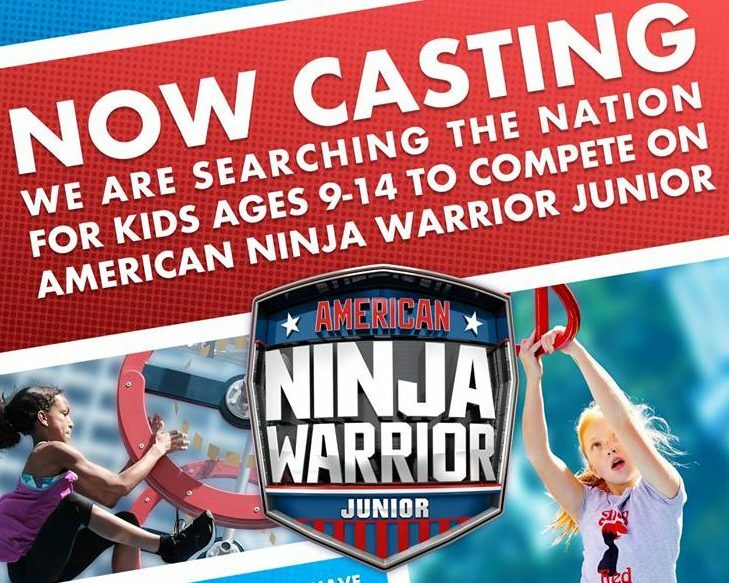 NOW CASTING – We are searching the nation for kids ages 9-14 to compete on American Ninja Warrior Junior. If your kid thinks they have the Ninja skills to compete, then we want to hear from you! Parents, to apply please visit www.ANWJrCasting.com & friends, if you could PLEASE SHARE this flyer or tag parents of incredible young athletes that would be amazing! Hello, my daughter is 9 years old! We live in Brentwood, Tn. and we watch the adult ninja warrior together all of the time and she loves it. She would be so excited to be considered for this opportunity. I am attaching her resume and photos. Please let me know if you need anything additional.